This is where a cake pop pan really comes in handy! 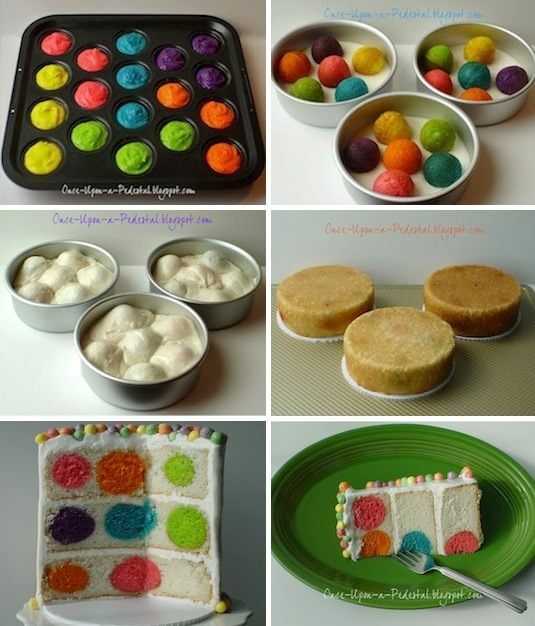 Use one to create colorful balls of cake, and then bake them inside of a white cake mix. 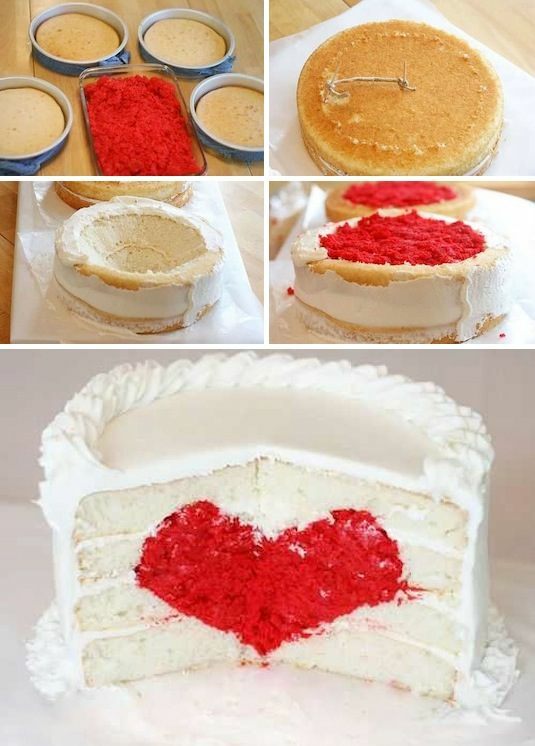 I could see doing this for a gender reveal party; use strawberry cake balls for a girl and blue velvet for a boy.